So my parents just got their first toyota. It was given to them by a family friend that had to be moved to an assisted care home. 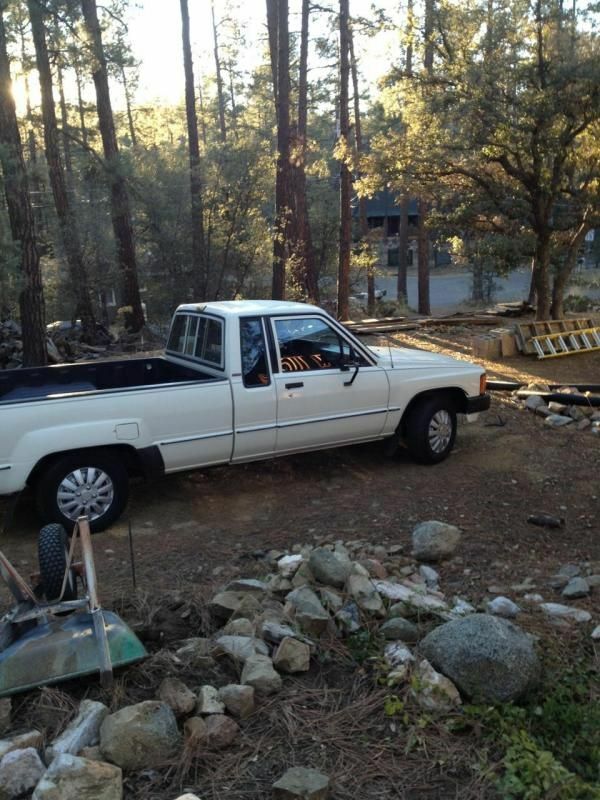 1986 toyota sr5 long bed extra cab 2×4. Original owner truck. 5 speed working ac. Maintained by Tim's toyota in Prescott. Bought new in Prescott, and has never left the city since. 73,000 miles. I had an '87 longbed Xtra cab like that, but gray. 20R/22R hybrid, sidedrafts, header, 12.4:1 comp, 272 cam. I had the Marty Mcfly truck, I miss it terribly. '86 xtra cab 4x4. It was black with a little liftkit and black steelies. Had great ac, fresh interior with new carpet, mats and a bench out of a new Tacoma. Never once broke down on me the whole time I owned it! Couldn't say enough good things about these trucks. I plan on getting a first gen 4 runner now, have kids and a dog that like to go places lol. That's the only reason why I don't still have it. Just no room. Nice truck! That will be good to have around. Can't find them with low miles like that anywhere! It will last forever since it's been babied.